1. First up this week is the lovely @carolinejsmith75's little girls room - how adorable is this?! This is exactly the type of room I'd of wanted when I was little, all beautiful floral prints and dainty accessories. The fairy lights are the perfectly finish off the room, and I'm so jealous of her gorgeous dresses! How lucky is her little girl to have such a lovely space all to herself. 2. Next is this completely gorgeous nursery from Danielle (@isla_and_boris) - what a beautiful colour scheme! I absolutely love the wallpaper, and how pretty do all the little accessories look on those shelves?! I didn't even spot the little baby sleeping in the cot to start with I was so distracted by those super cute cuddly rabbits! 3. This lovely girly room is from @myhome_nicola.x. I'm totally obsessed with initials (I literally have them all over my home), so love the pink K! How pretty is that floral storage box too? Lucky Keeley! 4. 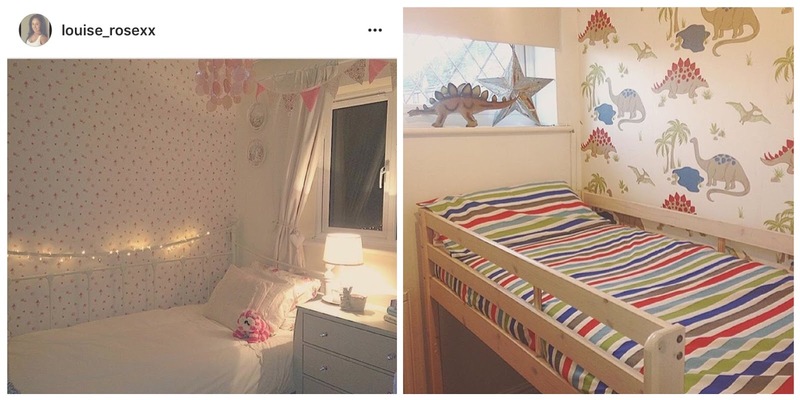 The lovely @louise_rosexx shared these pictures of her son and daughter's rooms - how gorgeous are they?! I'm absolutely in love with the dinosaur theme, and that bedspread perfectly matches the wallpaper. Speaking of wallpaper, I also have the pink roses in my spare room, and I absolutely love the way Louise has styled it in her daughters room. It looks so dainty and girly, plus all the accessories fit perfectly, even that cute little Bagpuss! So cosy! 5. 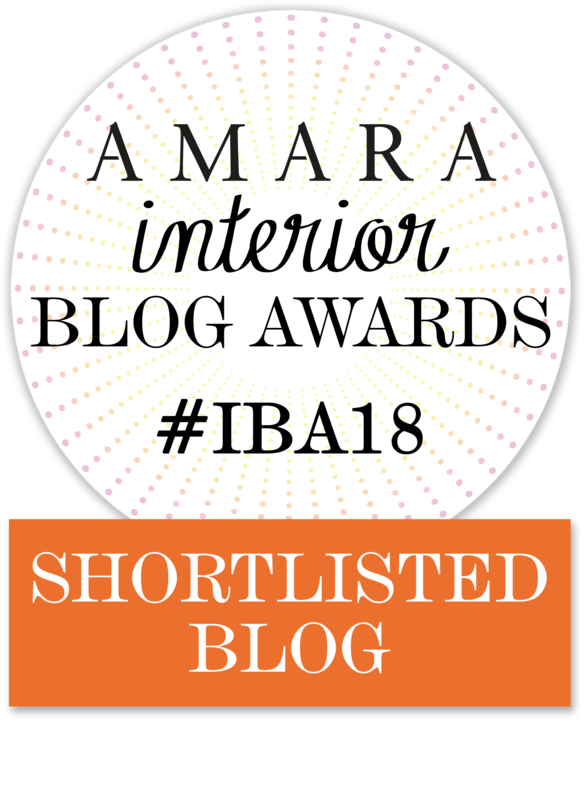 How beautiful is this room from @threeboysandahome?! What a lovely mix of play area and reading corner for her boys. I'm totally in love with that teepee - I'd love to curl up with a book in there! How beautiful are those big windows too, they must let so much light in, and I love the neutral colour scheme in here too, so bright and airy. What lucky boys! 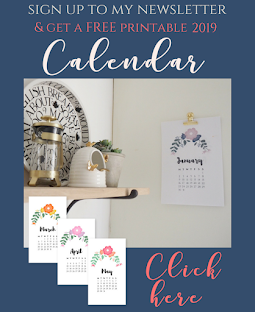 Hope this has provided you with some inspiration should you be about to decorate your child's room or a new arrival's nursery. Next Friday in honour of Halloween weekend I'll be looking at your autumnal/spooky decor! So don't forget to hashtag pictures of your seasonal displays/pumpkins/halloween party decorations on Instagram #DoveCottageFridayFaves, and I'll feature some of my favourites next week!